The homepage has a dynamic banner which shows the featured image and excerpt content from a random property. 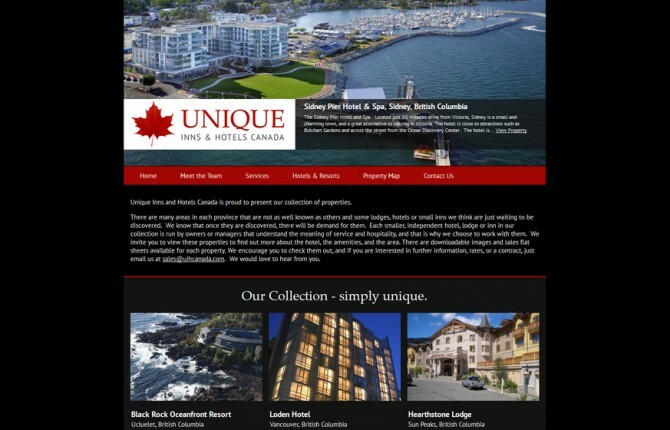 The various properties associated with Unique Inns & Hotels are very accessible from the home and property pages. The individual property page uses a modular accordion tab system and is easily-editable by the staff.